Borealis was the worlds first PC-based simulator for radar navigation training. It has been developed through many stages and both smaller desktop solutions and full bridge setups are installed throughout the world. Read: what's new in Borealis 6.11? 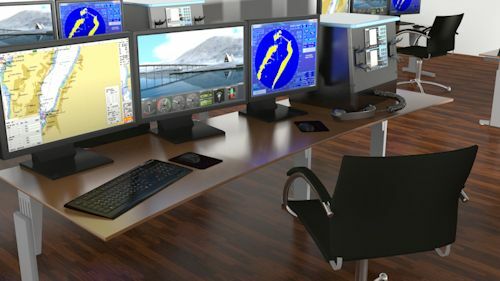 A training system for navigators can consist of various simulator modules, depending on the specific training objective, the trainees’ level of competence and the number of trainees that shall attend the training course. There are obvious differences on ratings training at a maritime school and training of experienced professionals. Therefore our customers can choose the modules needed according to their curriculum and to either have a general system or various degrees of customization. There are many options for setting up a simulator system for bridge training. You can equip the bridge for a specific vessel type or you can choose consoles and displays that will fit various types of vessels. The visual system can be from a single channel 40 degree view to full 360 degrees. 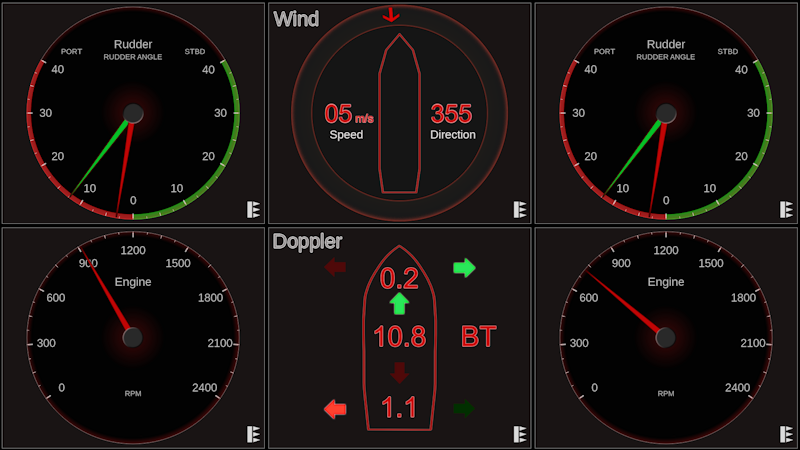 When you change e.g from a vessel with one engine to a twin engine vessel the repeater displays and instruments change accordingly. 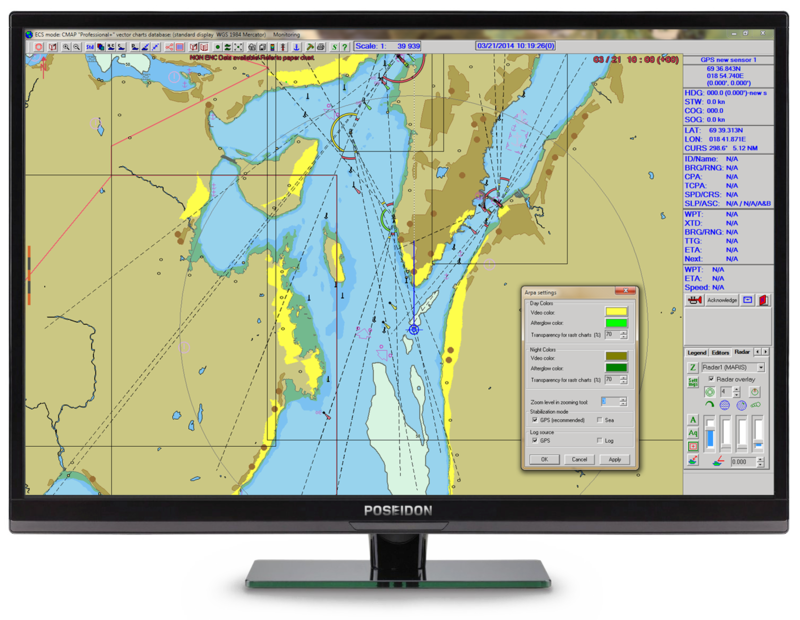 The Poseidon Digital Repeater (PDR) system allows for instruments and repeaters according to the mathematical ship model, placed wherever you want on the bridge, in the size you want. 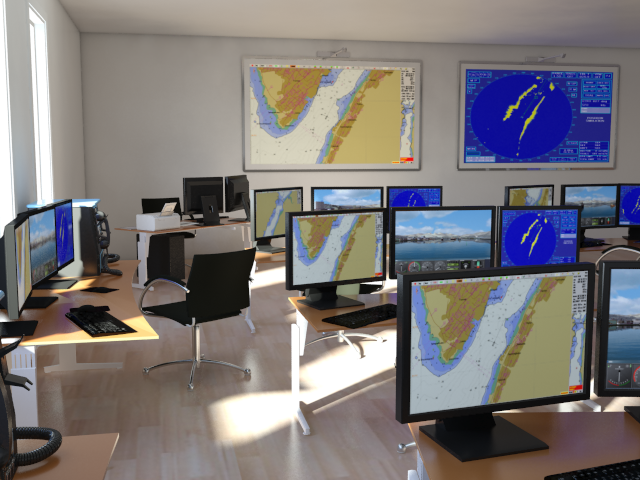 This setup is STCW compliant and suitable for ECDIS training according to IMO Model Course 1.27 and general Radar/ARPA training according to IMO Model Course 1.07. The visual system also allows for general navigation training/rules of the road. 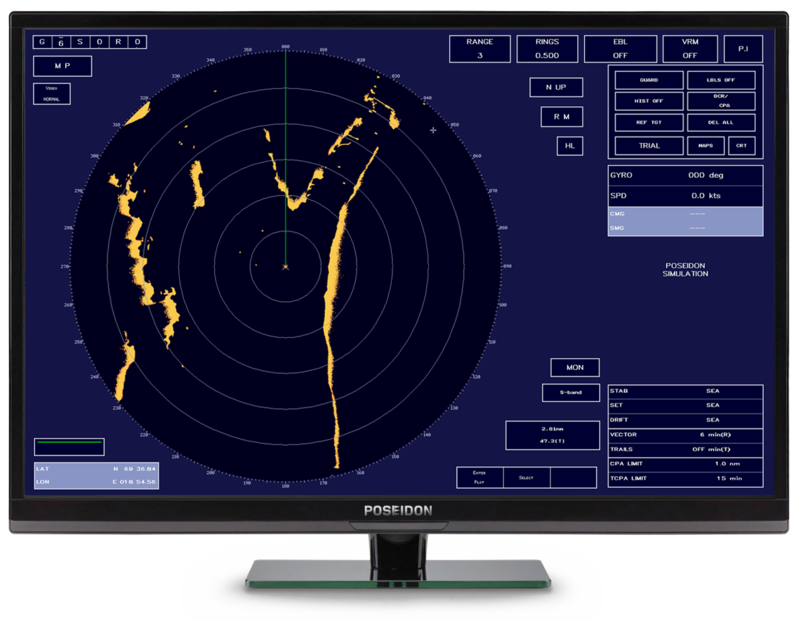 Poseidon is partner with VSTEP, Netherlands, who have developed the Nautis Full Mission Simulator system, delivered as DNV Class A or Class B certified. Realistic training on board actual high quality ship bridge replicas becomes possible with the NAUTIS Full Mission Bridge (FMB) Simulators. These fully certified Full Mission Bridge DNV Class A simulators comply with the Class A requirements as set by DNV’s interpretation of the STCW. The NAUTIS Certified DNV Class A Full Mission Bridge simulators are fully compliant with the Class A DNV Standards for Certification No. 2.14 for Maritime Simulator Systems and IMO Model Courses 1.22 and 1.32. 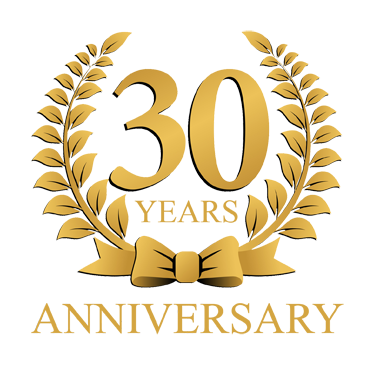 They address all new elements from the newly revised IMO STCW Convention, which entered into force January 2012 and allows realistic training of a wide variety of training courses. 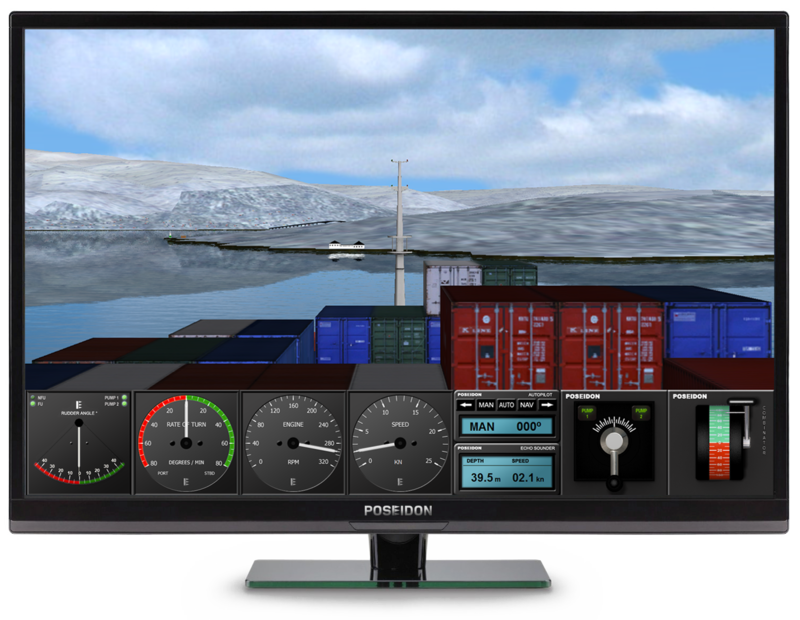 NAUTIS FMB Simulators are designed to provide a 240° horizontal field of view and are easily upgradeable to a 360° horizontal field of view, providing full surround vision.